Elizabeth practices commercial litigation and trial advocacy and is a Certified Information Privacy Professional. She counsels clients on a wide variety of legal matters ranging from day-to-day questions to corporate emergencies and long term strategic planning goals. Elizabeth represents clients in litigation matters involving privacy issues, data security matters, business disputes, insurance coverage questions, breach of contract issues, fraud cases, breach of fiduciary duty situations, consumer fraud liability, intellectual property and trade secret misappropriation, franchise issues and many other areas of commercial law. She also advises business clients regarding employment issues, contracts and regulatory issues. As a business and dispute resolution attorney with 20 years of experience in three international law firms and a Fortune 500 legal department, Ms. Bacon now brings the training in technical excellence and effective business negotiation strategies out of the high-priced global law firm environment and into an economic realm accessible to middle market and start-up companies. Ms. Bacon advises and represents clients in many areas including Business Law, Privacy & Data Protection, Commercial Litigation, Civil Litigation, Trial Practice & Alternative Dispute Resolution. Ms. Bacon seeks to provide expert business law advice and excellent quality legal work product, at reasonable fees, in the context of personal service and the highest ethical standards. She specializes in developing highly effective, cost conscious business dispute strategies and advising management on the commercial implications of complex legal issues. Core strengths include high-intensity negotiation skills, pragmatic alternative dispute resolutions, and implementing proactive strategies to identify and avoid potential liabilities. Prior to joining the Firm, Ms. Bacon was Senior Counsel for Motorola in Schaumburg, IL, where she provided premier full-spectrum management of both commercial and government litigation portfolios for one of four global business units. Ms. Bacon was also a litigation and trial partner at DLA Piper Rudnick Gray Cary, LLP, Chicago, IL (1997 – 2006) and Katten, Muchin & Zavis, Chicago, IL (1996 – 1997). 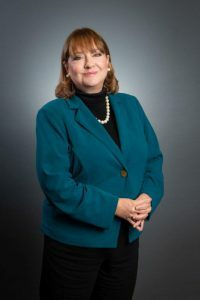 During these years of practice, she represented clients in a wide variety of matters, including class action suits; multi-district litigation; multi-jurisdictional consumer fraud claims; professional malpractice claims; misapplied RICO liability theories; product liability and national consumer recall issues; corporate control contests; and franchise system/securities issues. She also represented the interests of carriers in primary and multi-layer liability matters, and reinsurers in treaty disputes, advised multi-departmental corporations on data retention policies and compliance best practices, and coordinated pending commercial litigation with related insolvency proceedings in several jurisdictions. Both nationally and internationally, Ms. Bacon has represented clients including Unilever, Nestle, The Hartford, UPS, AON, Mail Boxes, Etc., Baxter International, Allegiance, Trans Union Corporation, Tricon Foods, Salerno Foods, Taco Bell, Outsource Temporary Staffing, Quest Diagnostics, FINOVA Capital Corporation, Queens Health Systems, McDonald’s, Farley Industries, Fruit of the Loom, LifeSource and Snap-on Tools Corporation. She has also designed and presented numerous training seminars for professional audiences, including Motorola, AON, Fireman’s Fund, The Tribune Company, Meredith Corporation, DePaul University and ABA Section of Litigation. Ms. Bacon is licensed to practice in the State of Illinois and before the United States District Court for the Northern District of Illinois, Trial Bar; and has appeared through numerous pro hac vice admissions in state and federal courts throughout the United States. Elizabeth lives in the Naperville area with her fiancé, Brian, a giant Great Pyrenees named Apollo and a few feline friends. She is an avid rose and vegetable gardener, an aspiring chef and an enthusiastic grill master. Please use the contact form below to email our attorney your message.